It's time to recap the whirlwind that has been 2017. I'll talk about my life, my books, and books I read. Personally, this year has been kinda crazy, but also kinda great. 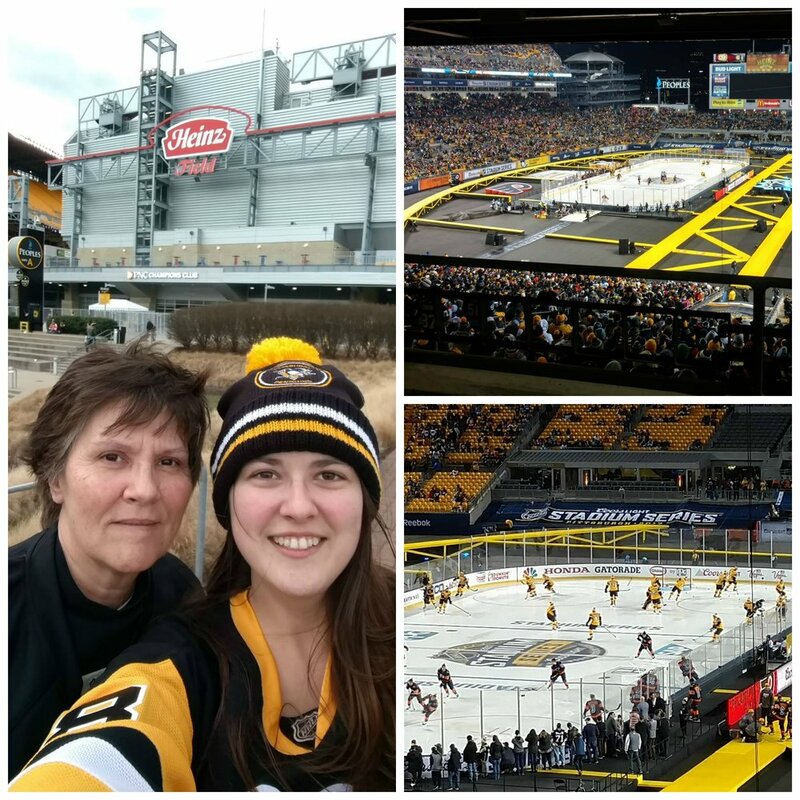 My momma and I went to the Penguins outdoor game in February and went to the Angels & Sirens Author Event in Pittsburgh the following week (we also caught a Penguins game while we were there). We also went to For the Love of Books and Raleigh signing in August. We made a few trips to Florida, the most exciting was for the birth of my new nephew, Perry. I also got to attend my first home opener for a hockey game, which was pretty fun, even if it was for the Canes. ;) Lastly, I graduated from college and treated myself to a Penguins game when they came to Raleigh a couple of days ago. I also finally started sewing, which y'all already know about because I blog about it. Now, as far as publishing wise, I released 3 books and 2 novellas (all in the Carolina Rebels series). Plus, I gave my newsletter subscribers an exclusive short story from the Carolina Rebels world. I also announced 3 releases for 2018 (Steady, Carolina Rebels Series: Volume One, and Worth the Risk). I think things went pretty well this year. Thanks for another year of support! And last, but certainly not least, my reading goals. I wanted to read 100 books, at least 12 paperbacks, and the ABC challenge, where the title starts with a letter from the alphabet. I read 123 of books, 34 paperbacks (51 if I count the picture books I read), and I missed X and Q in the ABC challenge because time got away from me in December. Also, 21 of my total were read for school. There's my favorites! Now, I decided to keep some more detailed notes this year, so here are some interesting (to me at least) highlights about books I read in 2017. - Most of the titles started with the letter H, with T and F the runner ups. - Most of the books I read were bought in the year 2017, but some were from as far back as 2010! - Most of the books I read were ebooks, but paperbacks weren't that far behind! - 78 were in a series and 45 were standalones. - I finished 7 series, started 17 series, and decided not to finish 18 series. So, there are some fun facts in addition to my favorites from 2017! I think I'll continue to keep track of books this way because it was really interesting to see some of the figures. Newer PostOne More Sneak Peek: Chapter Two of Steady! Older PostSneak Peek: Chapter One of Steady!